Do you want a beautiful new smile makeover, but are concerned about the expense and treatment time of porcelain veneers and other cosmetic treatments? To make an instant and dramatic improvement in your appearance. One-Hour Veneers by Cerinate will make your teeth and smile look fabulous which will improve your overall appearance and give you a new-found feeling of self-confidence. To quickly get ready for your “big event” so you’ll look amazing at your wedding, big date, business meeting or any event where you want to look and feel your best. To repair your damaged, chipped, or cracked teeth that make it embarrassing for you to smile. To make your teeth straighter for a more appealing smile. To fill unsightly gaps and spaces between your teeth. To cover unsightly, severely stained or dark-colored teeth. To whiten your teeth for a beautiful bright-white natural-looking smile! To save time. Placement of your Cerinate Veneers is usually completed in just one treatment session. No time-consuming dental laboratory work is required which will save you weeks of treatment time! Affordable – Cerinate One-Hour Porcelain Veneers start at less than $1000! Your new smile is backed by a limited lifetime warranty for each Cerinate One-Hour™ Permanent Veneer placed. 1. Impression Dr. Wei will take an impression of your teeth. 2. Pick Your Smile You pick the style and shade of your new smile. 4. Permanent Placement of your Veneers Your veneers will be permanently bonded your teeth without shots, drilling or pain. 5. Your New Smile! You walk out wearing your new Cerinate 1-hour smile makeover that give you a beautiful new smile! 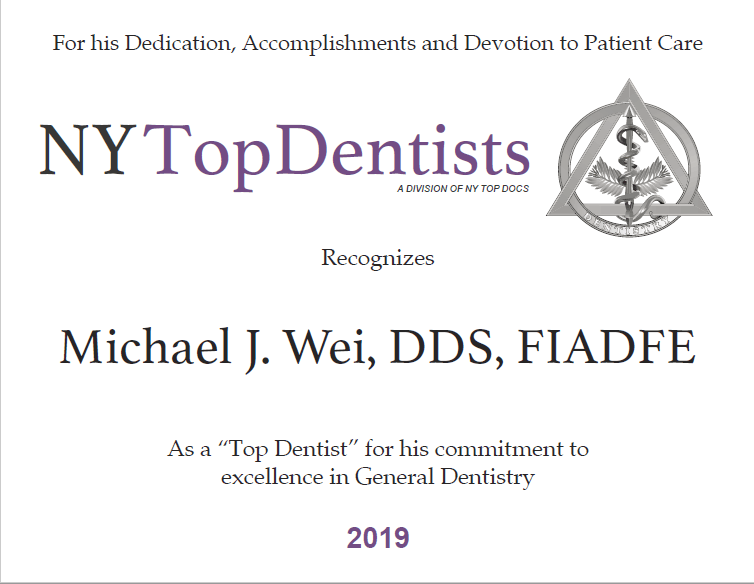 A Proven Dentist – Dr. Wei is one of Manhattan’s top cosmetic dentists. Dr. Wei’s cosmetic dentistry includes world-class laboratory support from the best labs in the world. 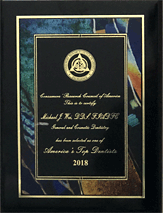 Dr.Wei is the recipient of numerous awards and accolades. High Success Rate – Dr. Wei has over 18 years of experience with dental services. Plus, Dr. Wei stands behind his work with a warranty. Delivery Excellent Results – Dr. Wei has first class technicians and world-class laboratory support. Dr. Wei works very closely with his master dental technicians to ensure you get the best results. Dr. Wei offers the very best quality dental care available. Easy Financing Available with No Financial Surprises – All financial arrangements are done at our dental office and there will no surprises that cost you more. No hidden costs and no additions after your treatment plan is confirmed and treatment begins. Fully Warranted – – Dr. Wei will take care of any issues from start to finish. On the rare occasion that a problem should occur, Dr. Wei will fix the problem promptly with no additional fees.